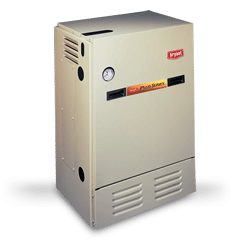 At Bryant heating and cooling columbia sc, we’ve been improving indoor comfort with our air conditioners for over a hundred years. 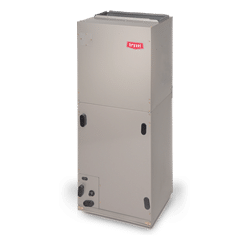 Our solid Evolution® System offers our highest efficiency home cooling (which saves you the most money during operation) and has earned Consumer’s Digest Best Buy status, while our Preferred™ Series and Legacy™ Line products give you economical performance, comfort and value. 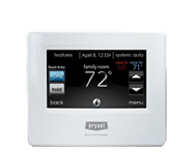 With our wide range of dependable programmable thermostats, non-programmable thermostats and zoning thermostats—including our award winning Evolution® Control—you have total control over temperature, humidity, air treatment and timing. 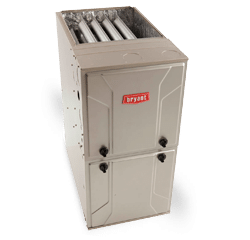 Rock-solid Bryant fan coils can increase your system’s SEER rating up to 2 full points—a boost that will save you money in energy costs. 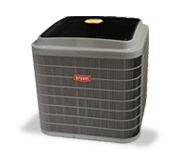 From the ultimate Evolution® Series fan coils with Smart Diagnostics, to efficient Preferred™ Series, with variable speed fans, to the economical Legacy™ Line options, fan coils improve your home comfort and efficiency. Upgrade your home by improving the quality of the air inside. 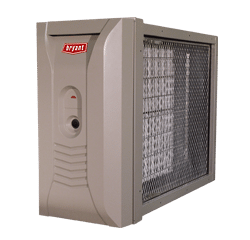 Bryant humidifiers help you control air moisture; ventilators bring fresh air into your home; air filters clean the air before it circulates; ultraviolet lamps help keep coils cleaner; and carbon monoxide alarms measure and detect CO levels in the home.